Xinran has gained entrance to the most pained, secret chambers in the hearts of Chinese mothers - students, successful businesswomen, midwives, peasants - who have given up their daughters. Whether as a consequence of the single-child policy, destructive age-old traditions, or hideous economic necessity, these women had to give up their daughters for adoption; others even had to watch as their baby daughters were taken away at birth and drowned. Xinran beautifully portrays the "extra-birth guerrillas" who travel the roads and the railways, evading the system, trying to hold on to more than one baby; naÏve young girl students who have made life-wrecking mistakes; the "pebble mother" on the banks of the Yangzte River still looking into the depths for her stolen daughter; peasant women rejected by their families because they can't produce a male heir; and Little Snow, the orphaned baby fostered by Xinran but confiscated by the state. It took a long time for me to summon the courage to relive the personal memories and experiences of my life as a reporter in China. In The Good Women of China, my first book, published in 2002, I wrote about those brave women who had told me their stories when I worked as a radio presenter. But there were some stories I could not yet bring myself to tell. They were too painful and too close to home. I am not a particularly courageous woman; I am just a woman who longs to feel a mother's embrace and that lifelong bond of love and dependence between mother and daughter. Little by little, that longing seeped through me until it began to dominate my thoughts night and day. Reawakening the memories threatened to reopen old wounds: I would miss my own mother more than ever and would feel even more bitterness that I would never have that kind of love. Message from an Unknown Chinese Mother is heart-wrenching and intense in its rawness. We hear the voices of women who will forever mourn the loss of their newborn girls. 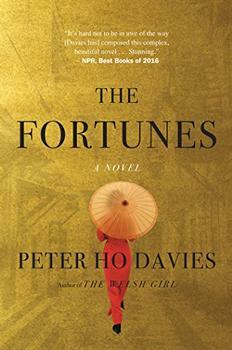 And we witness the author's admirable attempts to intervene in the lives of these women and children across the globe - both in immediate circumstances within China and through her work in making these stories known to the grieving mothers, their grown-up daughters, and interested readers across the globe. (Reviewed by Julie Wan). But never mind. No bleaker picture exists of the fate of Chinese female infants, whether murdered at birth or abandoned, than Messages from an Unknown Chinese Mother. This is an extraordinary book told with generosity and warmth by a brilliant storyteller. The core of Message from an Unknown Chinese Mother is the individual stories of women who have lost their daughters. One would have to have a heart of stone not to be moved by them. Starred Review. This eye-opening work is made even more shocking by how recent most of these women's stories are, even as Xinran counterbalances the heartbreak with letters from families outside China who have adopted Chinese babies. This is a brutally honest book written for those relinquished children, so that they will know how much their birth mothers loved them and how - in the words of one mother who gave up her daughter - "they paid for that love with an endless stream of bitter tears." 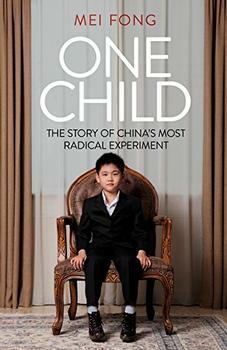 A heartbreaking examination of the reasons why Chinese women give up their girls for adoption. I'm a longtime admirer of Xinran's writing. She has a rare gift as both a compassionate listener and a mesmerizing storyteller. In reading her books, I always feel as if I am in a room, listening with Xinran, as strangers unveil the haunting details of their lives that grab my imagination and my heart.